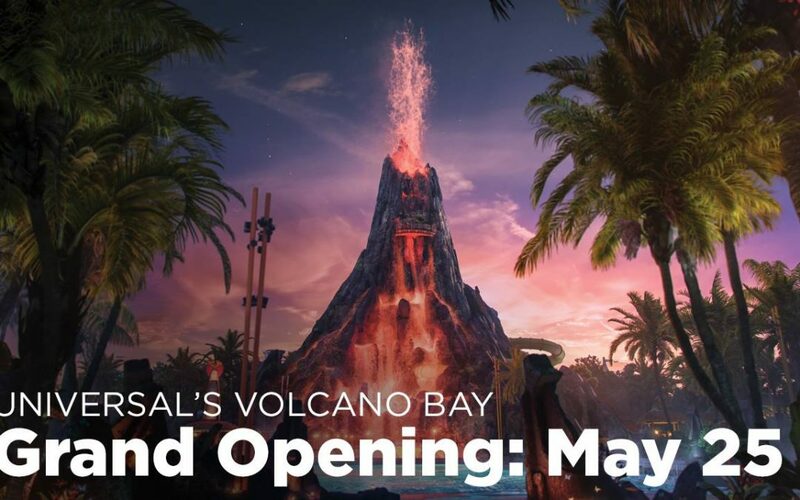 Universal Orlando’s third amazing theme park, Volcano Bay, will officially open on May 25, 2017. 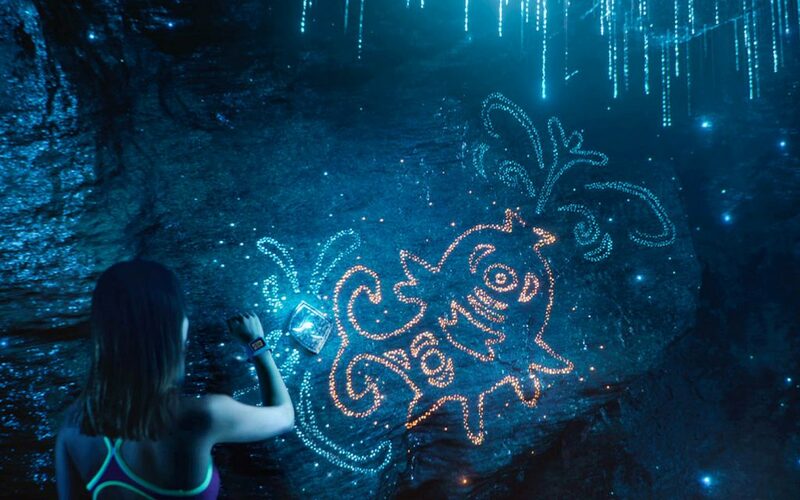 And today, Universal Orlando provided a first look at the new TapuTapu wearable coming to Volcano Bay that will transform the way you experience water theme park entertainment. When you arrive to Volcano Bay, you will receive a TapuTapu wearable to use for the day that will make their experience throughout the entire park as hassle-free and fun-filled as possible. It will allow you to virtually wait in line for Volcano Bay’s dozens of unique attractions and discover various TapTu Play experiences throughout the park with just a simple tap. ranging from daring to serene, Volcano Bay will offer something for everyone – including a multi- directional wave pool with sandy beaches, a peaceful winding river, twisting multi-rider raft rides, speeding body slides that drop from the top of the volcano into the waters below and more. Yes the band is waterproof and you can wear it all day while enjoying everything at Volcano Bay. You get the TapuTapu as part of your park admission when you arrive at the park and you turn it back in when you leave. How do I reserve my ride time at Volcano Bay? The TapuTapu wearable gives you the ability to enjoy the new Virtual Line. You’ll walk up to the totem in front of an attraction entrance and with just a simple tap, receive a return time for that attraction. TapuTapu will alert you to head over to the attraction. No carrying tubes, no standing in long lines, no hassles. Look around the island for places to tap your TapuTapu. You might just find some cool experiences.